There are over 1.5 million Syrian refugees including 600,000 children, living in over 2,000 informal makeshift camps across Lebanon. 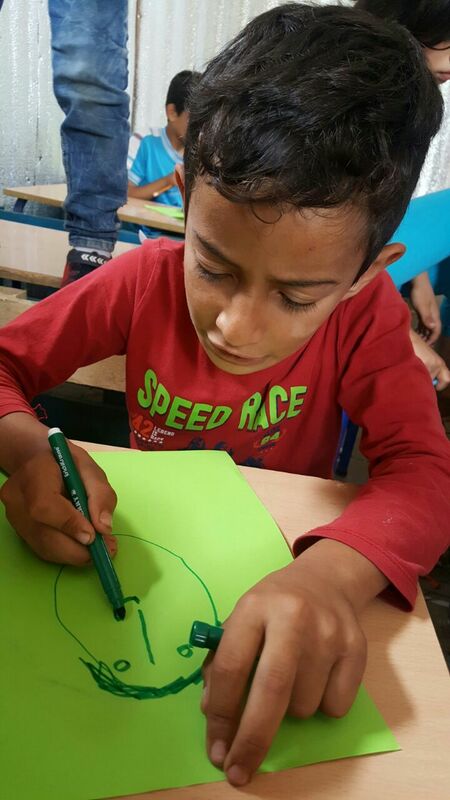 Help Syria’s Kids pen-pal letter exchanges are connecting children across the world with these refugees to nurture their reading and writing skills, while sharing hope through the development of friendships. 5th grade students of Montgomery C. Smith Intermediate School in Hudson, NY and children in Ketermaya, Lebanon met via skype to introduce each other. The first "pen-pal” letters were then written by the 5th grade students in Hudson, NY and hand-delivered to Lebanon where they were translated into arabic and presented to the children of Ketermaya. Children read their letters in makeshift classrooms in Ketermaya, discussing what they learned about each Hudson student, what they had in common and the joy they felt knowing there are other children in the world who care about them and want to help their lives. Their responses included stories about how they arrived to Ketermaya, what they left behind as well as their new friends living at the camp, hopes, dreams and favorite foods and colors. Children of Ketermaya embellished their letters with drawings and words “I love you” and “thank you for writing me.” Our next letter exchange with Hudson, NY students kicks off in October, 2018. Pen-Pal writing workshop with children from Ketermaya, Lebanon writing to their friends in Hudson, NY with AUB student volunteers.